Austin Shakespeare will bring the romance, comedy and dramatic clashes of The Merchant of Venice to the Beverly S. Sheffield Zilker Hillside Theater in May. 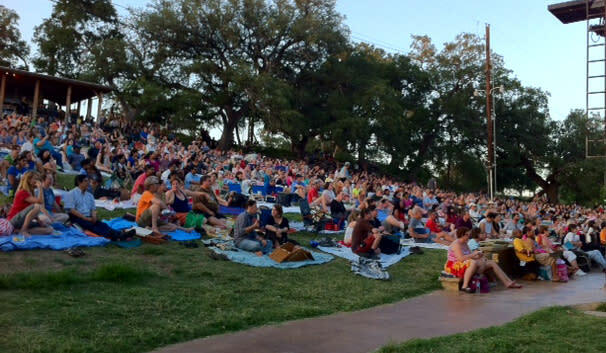 Produced in collaboration with the City of Austin Parks and Recreation Department for the 35th year, Shakespeare’s famous play will be performed under the stars from May 9 to May 26 on Thursdays to Sundays at 8 p.m., with a preview performance on Wednesday, May 8. Professional Actors’ Equity Austin Shakespeare alumn Gwendolyn Kelso will appear as Portia. Kelso portrayed Maggie this fall at the Long Center’s Rollins Theater in Cat on a Hot Tin Roof. Devin Finn plays the romantic young man, Bassanio, who must borrow money through his good friend, the merchant, played by Keith Paxton. From Austin Shakespeare’s recent Indian Ink cast are Sidd Kumar and Christopher Gonzalez. Max Green is the clown, Launcelot Gobbo; Patrick Schmidt, the judge; Valoneecia Tolbert as Shylock’s daughter, Jessica. Emily Christine Smith plays Portia’s side-kick, Nerissa--and the singer in the romantic turning point. Actors new to Austin Shakespeare are Zach Barrett, Nick Ivons, and Michael Connelly as the comic Gratiano. The audience is encouraged to bring blankets, low chairs, and a picnic to enjoy their evening on the grassy hillside. Some chairs are available. The City of Austin is committed to compliance with the American with Disabilities Act. 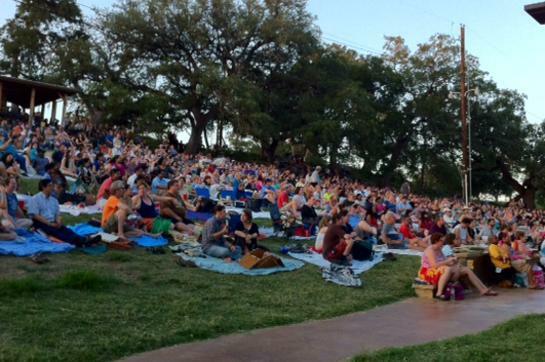 Zilker Hillside Theater is accessible to all audience members. Alcohol and glass containers are prohibited in all City of Austin parks.